BEIJING, China (SportingAlert.com) — Argentina and Brazil will face each other in a high-profile international football friendly game inside the Beijing National Stadium on Saturday. The international friendly clash will see Barcelona teammates Lionel Messi and Neymar going head-to-head, a contest that has been penciled in by several football fans living in China. The “Super Clasico” clash is considered the biggest international match-up in South American football. 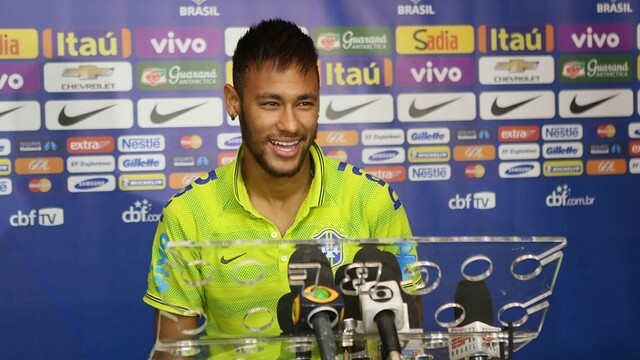 “We (Messi and I) have spoken a lot about this game and have joked about who’s going to win,” Neymar said. Another on form player suiting up for the game on Saturday is Manchester United attacking midfielder Angel Di Maria, while Manchester City forward Sergio Aguero will join him as well. Di Maria, who recently transferred from Real Madrid to Manchester United and EPL, has been in very good form so far – scoring three goals and assisting on three for his new side. Fellow club teammate Marcos Rojo also makes the trip, while Pablo Zabaleta and Martin Demichelis of Manchester City, Erik Lamela of Tottenham and Barcelona’s Javier Mascherano are all on the roster as well for Argentina. Meanwhile, for Brazil, Neymar will be joined by Chelsea players Oscar, Willian and Filipe Luis, as well Liverpool’s Philippe Coutinho.